Appreciate the collections at Schloss Nymphenburg and Alte Pinakothek. Your inner history buff will appreciate Haidhausen and St. Peter's Church. Next up on the itinerary: stroll around English Garden, contemplate in the serene atmosphere at St. Michael's Church, see the interesting displays at BMW Welt, and don't miss a visit to Marienplatz. For other places to visit, traveler tips, photos, and more tourist information, read our Munich vacation maker . Curitiba, Brazil to Munich is an approximately 20-hour flight. You can also do a combination of flight and train; or do a combination of bus and flight. The time zone changes from Brasilia Time (BRT) to Central European Time (CET), which is usually a 4 hour difference. Plan for little chillier nights when traveling from Curitiba in May since evenings lows in Munich dip to 9°C. Wrap up your sightseeing on the 21st (Tue) to allow time to drive to Hohenschwangau. On the 22nd (Wed), look for all kinds of wild species at Alpseebad, step into the grandiose world of Schloss Hohenschwangau, and then admire the striking features of Neuschwanstein Castle. To see traveler tips, where to stay, ratings, and tourist information, go to the Hohenschwangau day trip planning app . Getting from Munich to Hohenschwangau by car takes about 2 hours. Other options: take a train; or take a bus. In May, daily temperatures in Hohenschwangau can reach 19°C, while at night they dip to 7°C. Finish your sightseeing early on the 22nd (Wed) to allow enough time to drive to Rothenburg. Start off your visit on the 23rd (Thu): contemplate the long history of Markusturm and Buttelhaus, steep yourself in history at Town Walls, steep yourself in history at Siebers Tower, then take a stroll through Old Town, then examine the collection at Medieval Crime Museum (Mittelalterliches Kriminalmuseum), and finally take in the spiritual surroundings of St. Jacob's Church (St. Jakobskirche). To find photos, reviews, more things to do, and tourist information, read our Rothenburg trip itinerary planner . You can drive from Hohenschwangau to Rothenburg in 2.5 hours. Other options are to take a train; or do a combination of bus and train. In May in Rothenburg, expect temperatures between 19°C during the day and 9°C at night. Finish up your sightseeing early on the 23rd (Thu) so you can go by car to Dresden. On the 24th (Fri), wander the streets of Rahnitzgasse, wander the streets of Gorlitzer Strasse, get engrossed in the history at Royal Palace (Residenzschloss), then explore the historical opulence of Big courtyard of the Residence / Grosser Schlosshof Dresdner Residenz, and finally examine the collection at Neues Grünes Gewölbe. Get ready for a full day of sightseeing on the 25th (Sat): admire the masterpieces at Gemaldegalerie Alte Meister, then wander the streets of Neustadt, then pause for some serene contemplation at Frauenkirche, and finally explore the world behind art at Albertinum. Plan my trip to Dresden with suggested itineraries provided by Inspirock. Traveling by car from Rothenburg to Dresden takes 4 hours. Alternatively, you can take a train; or do a combination of train and flight. In May, daily temperatures in Dresden can reach 20°C, while at night they dip to 10°C. Finish up your sightseeing early on the 25th (Sat) so you can catch the train to Berlin. 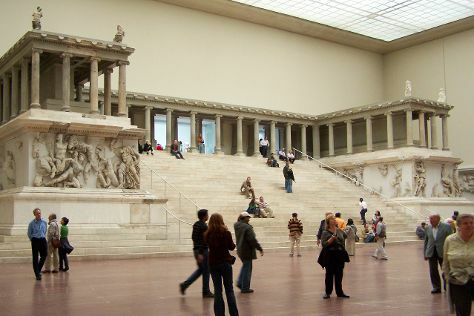 You'll explore and learn at Pergamonmuseum and Topography of Terror. Your inner history buff will appreciate East Side Gallery and Memorial of the Berlin Wall. 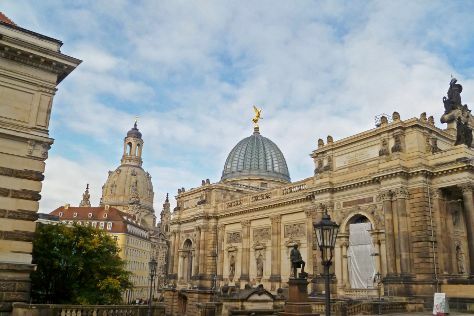 And it doesn't end there: don't miss a visit to Potsdamer Platz, admire the striking features of Reichstag Building, explore the historical opulence of Charlottenburg Palace, and appreciate the history behind Brandenburg Gate. To see more things to do, reviews, where to stay, and more tourist information, read Berlin sightseeing tool . Getting from Dresden to Berlin by train takes about 2 hours. Other options: drive; or take a bus. Finish your sightseeing early on the 28th (Tue) so you can take a train to Hamburg. 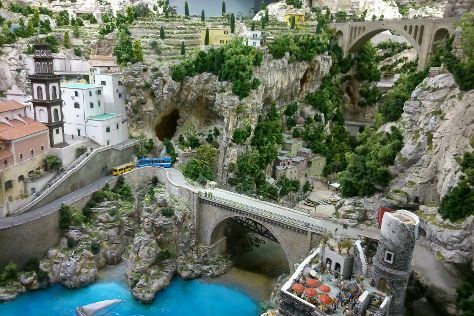 On the 29th (Wed), explore the world behind art at Kunsthalle Hamburg and then examine the collection at Miniatur Wunderland. Get ready for a full day of sightseeing on the next day: wander the streets of Reeperbahn and then stroll through Hamburg Zoo. To find traveler tips, ratings, maps, and more tourist information, read our Hamburg tour itinerary builder site . Take a train from Berlin to Hamburg in 2 hours. Alternatively, you can drive; or take a bus. In May, daily temperatures in Hamburg can reach 20°C, while at night they dip to 9°C. You will leave for home on the 31st (Fri).